As you may already know, the first signs of drying do not cause any particular discomfort, but if ignored, they can lead to aggravation of the drying problem. 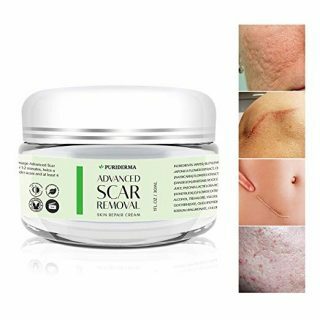 Very dry skin can be tight, rough, scaly, cracked and itchy. 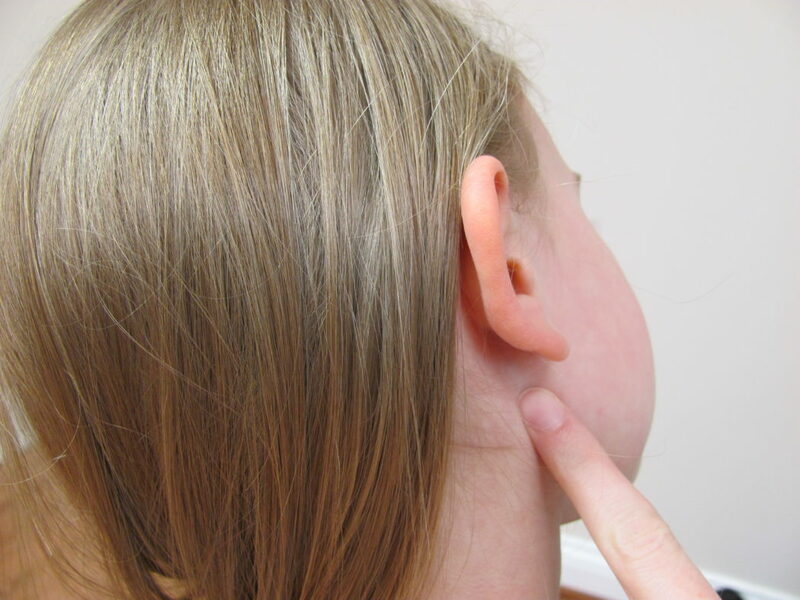 The skin usually feels very stretched and may also look flaky. Excessive drying may lead to cracking of the skin, especially in areas where the skin bends and stretches during movement (e.g. the knees and the elbows). In order to resolve the dry skin problem, it is highly recommended to follow a skin care routine that does not cause further deterioration of the skin barrier, while providing with deep moisturizing. After a thorough research on the Web, here’s a list of the most effective products you can purchase online in order to moisturize your skin the best way possible (the products listed are the best-selling ones available Online; positive and negative aspects are included). 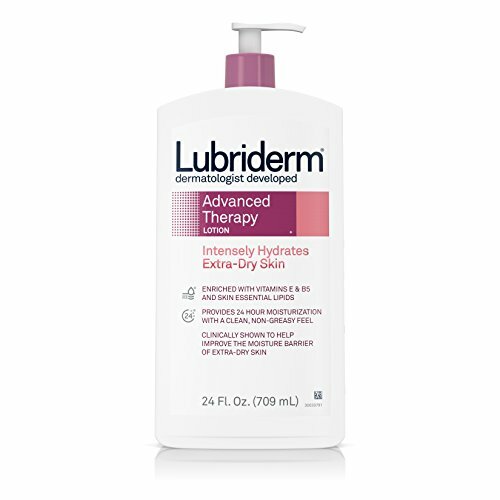 Extra Dry Skin Lotion, 24 Fl. Oz. There are loads of customers who claim to use this particular product for years. It is also recommended for eczema-suffers. This lotion has an average performance. 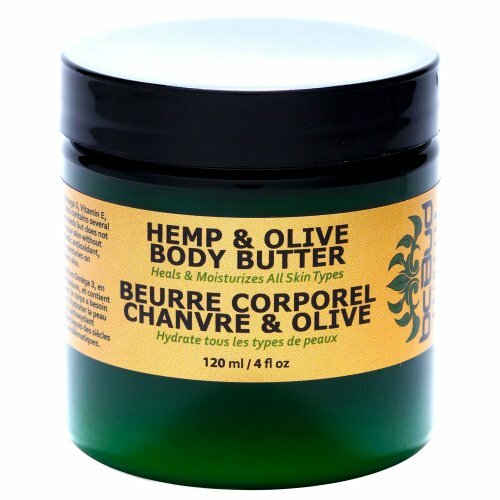 Borage oil is the active ingredient in this formula, it is hydrate dry, damaged and irritated skin tissue. Borage oil penetrates deep, delivering GLA & benefits directly to the cells, which helps skin retains more moisture & stay healthier.According to a customer who liked it. 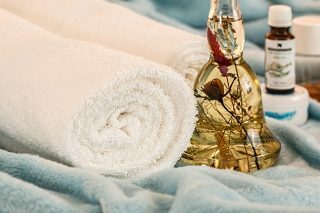 The other ingredients containing in the product provided with a number of skin-friendly ingredients that moisturize and prevent inflammation. Another good feature about the lotion is that it is fragrance-free (which makes it great for patients with sensitive skin and for those with eczema). The main downside about the lotion is its’ price- there are customers who find it more expensive compared to similar products. There are no comments reporting that the lotion is not effective. This luxury formula is specially designed for dry skin treatment and softening the skin. The only ingredient containing in this product is cold pressed 100% Pure Moringa Organic Oil  provides with all the essential nutrients for moisture and keep skin healthy. It is certified USDA organic , which is very important since such products have strict production and labeling requirements. 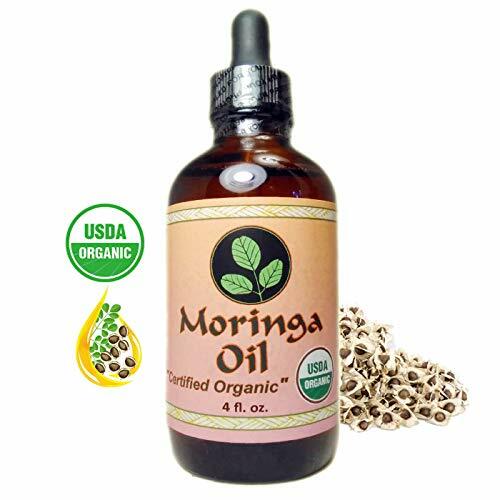 The moringa oil provides with various benefits: It softens dry skin and maintains moisture in the skin, It is good for conditioning dry, chapped lips, It’s beneficial to treat rough, dry skin conditions like dermatitis, eczema, and psoriasis. It can be applied on very delicate skin areas (it is suitable for infants skin as well). What you should have in mind is that this formula is a light oil that takes 10 to 20 minutes to soak in, leaving a light residue easy to wipe off if needed. The product has excellent reviews only. 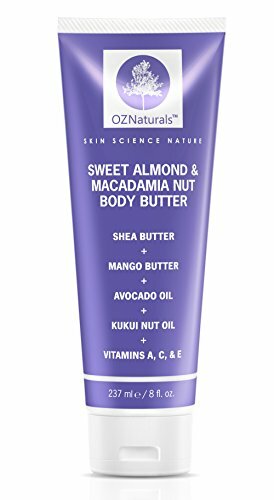 This Natural Body Moisturizer Contains Sweet Almond & Macadamia Nut Oil For A Luxurious Skin Moisturizer That Revives Dry Skin With A Healthy, Vibrant Glow!